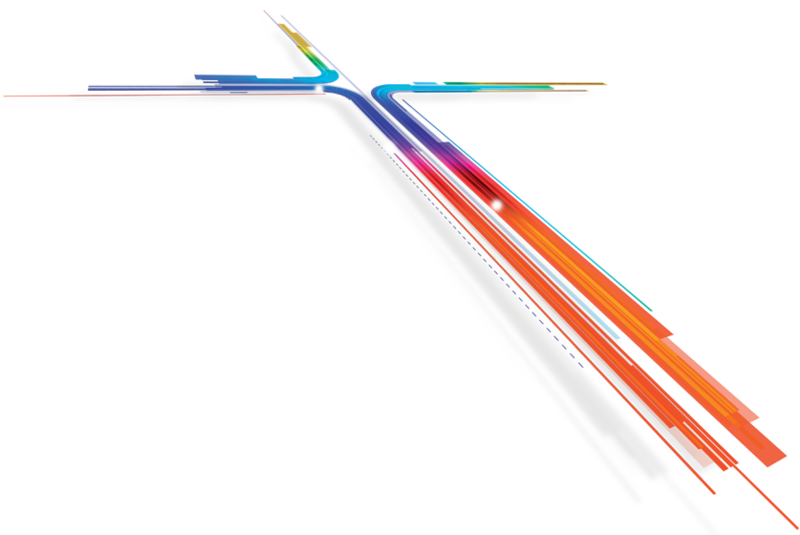 To optimise asset management you need to know the precise location and condition of every asset. This hasn't always been easy – until now. 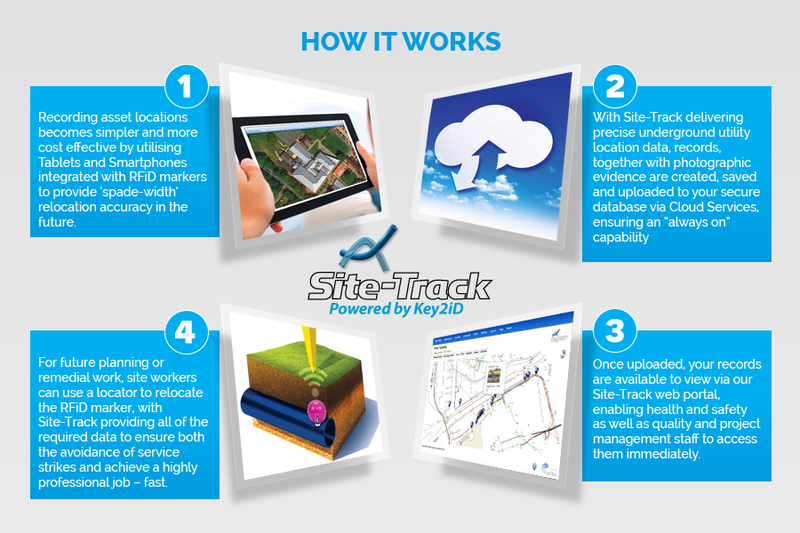 Key2iD goes beyond traditional solutions to deliver a complete picture of your assets so you can improve health and safety, save time and invest resources more effectively than ever before. From service strikes to build delays, if site records aren't easily accessible or kept up-to-date, the likelihood of problems increase. With Site-Track delivering exact location data, you can control and prevent problems before they happen. Plus, because you have an instantly accessible, real time archive of the site, future planning is made simpler too – all users need is a username and password and everything they need to know is in one place. Please provide the following information to access your document. Fusce pharetra libero porta elit. Nullat aliquam ut urna felis. Ut rhoncus diam non augue molestie convallis. Suspendisse varius, tortor et viverra iaculis, dolor dolor tempus ante, at aliquam ut urna scelerisque quam nulla diam non augue vel turpis. Nullam tortor turpis, facilisis non ipsum sit amet. Predicting hose failure is critical in industry, but it's not the whole story. Technicians need to know details about a hose — type, size, length, end fittings, and date of last test — to quickly repair and return equipment to service. Identifying a hose isn't always easy. However, with Hose-Track the process is quick and seamless. By attaching RFID tags to every hose, Hose-Track speeds up and simplifies identification. All data is captured and stored in one place – making it instantly accessible via any smart device. 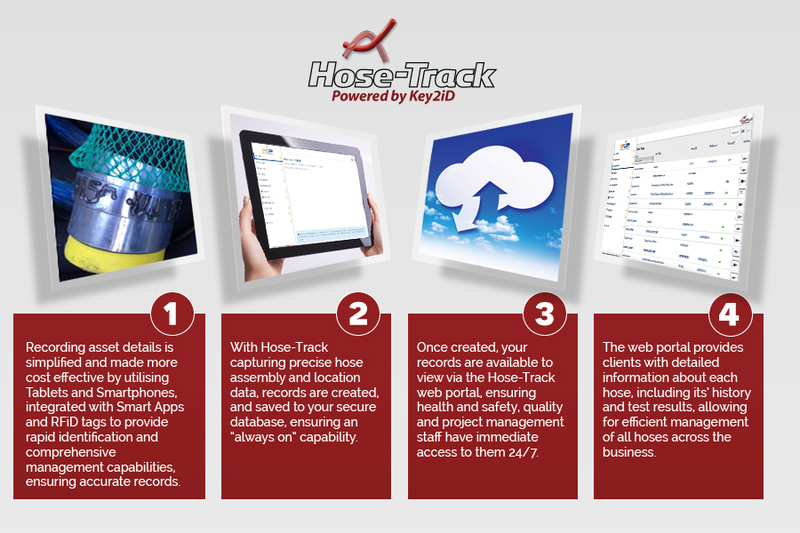 Deliver hose-assembly information right into the hands of your maintenance people, allowing for rapid identification and repair. Gain intelligence on how hoses are utilised, enabling more-informed hose selection, resulting in less downtime. Premier Pipeline has been in the Concrete Pumping Industry for 33 years, and has a wealth of experience using concrete pumps and hoses. There is currently no standard in place for the testing and management of concrete hoses, so after consulting with a number of our key clients, we decided to address this situation. 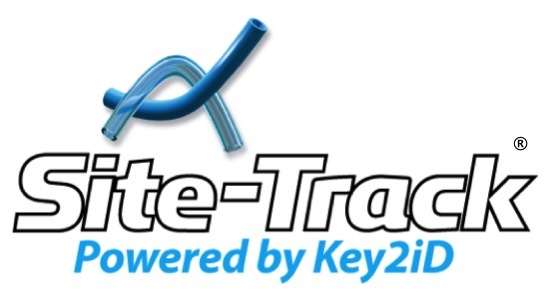 Working with our partner, Key2iD, we created Hose-Track, which provides both Premier and our clients with the ability to track, test, and manage these very expensive assets. Using Hose-Track has started to make significant differences to our business, including reduced costs, increased efficiencies, and more accurate data for ourselves and our clients. Over 6 million road excavations take place in Britain every year. This figure is growing by the day as demand for power, utilities and communications infrastructure increases. However, with the lack of easily accessible and reliable underground asset information, costs are increasing too, not to mention the impact on services. This is where Intelligent Trench comes in. 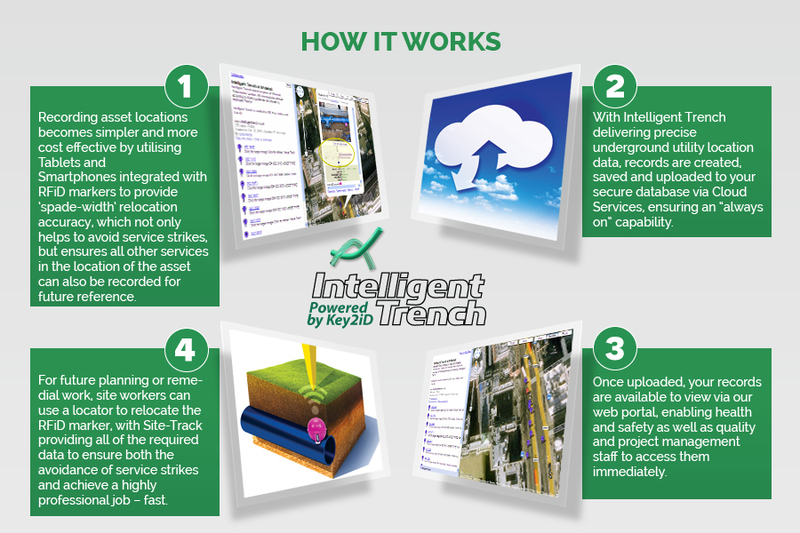 By combining RFID tags with innovative GPS asset marking and locating techniques, Intelligent Trench speeds up and simplifies identification. All data is captured and stored in one place – making it instantly accessible via any smart device. It's simple, transparent and precise. Intelligent Trench is essential practice in order to dig safely, and also brings many cost benefits. Dry digs and the need for exploratory digs can be reduced and avoided. The cost associated with rectifying failed reinstatements is also much reduced, saving the taxpayer money. The public benefits further from increased life of roads and a decrease in congestion.